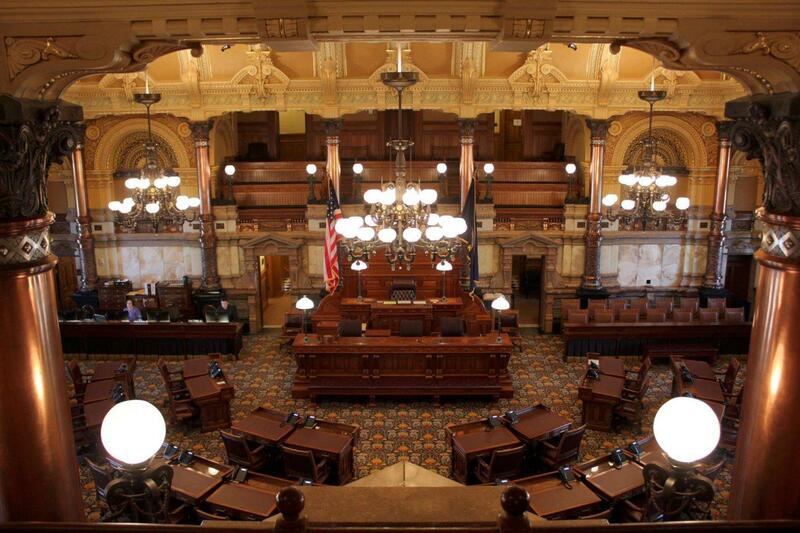 The Kansas Senate voted 22-18 Friday to send a tax increase bill to Gov. Sam Brownback. The Kansas Senate on Friday approved a bill that would roll back much of Gov. Sam Brownback’s signature tax policy to help balance future state budgets. The 22-18 Senate vote sends the plan to the governor’s desk, where it could face a veto. The bill, approved Thursday by the House, would roll back most of the 2012 tax cuts by increasing income tax rates, adding a third income tax bracket and reinstating income taxes on more than 300,000 business owners. It would bring in more than $1 billion in the next two years. During debate Friday, Senate Vice President Jeff Longbine said the bill isn’t perfect. However, he supported the plan because it helps balance the budget without making cuts to funding for schools and higher education. Legislative staff provided a comparison of past, current and future tax rates under the bill. Critics of the plan have blasted it, calling it the largest tax increase in state history. That’s the same criticism Democrats used when arguing against a tax increase that lawmakers approved in 2015 to end the session. Sen. Ty Masterson, an Andover Republican, did not mince words during the Senate debate. He called the tax increase “a piece of garbage” that will hurt working Kansans. Senate President Susan Wagle said legislators should address spending issues before tax increases. “The way we should approach a deficit is the way families approach an unanticipated deficit. You cut spending and then you find a way to get an extra job and bring in some more income,” said Wagle, a Wichita Republican. However, Wagle said many lawmakers don’t want to make cuts and the vote gave them a chance to weigh in on the plan. Sen. Tom Holland, a Baldwin City Democrat, voted against the bill because he thinks it doesn’t raise enough revenue to balance the budget, but he pushed back against the idea of focusing on spending cuts. Sen. Anthony Hensley said he also would have preferred a bill that raised more revenue, but he voted to send the tax plan to the governor. “Because it is his economic policies that put us in this place that we are today, and we should give him the opportunity to see this bill on his desk,” said Hensley, a Topeka Democrat. Brownback roundly criticized the bill earlier this week but did not specifically say whether he’d veto it. Under Kansas law, Brownback has 10 days to consider the bill after it reaches his desk. If he takes no action, the plan will become law without his signature. If Brownback vetoes the bill, it seems unlikely there would be enough votes for the two-thirds majority needed to override that veto. The House tally was seven votes shy of the 84 needed to override. It could be significantly harder to get the 27 needed votes in the Senate. 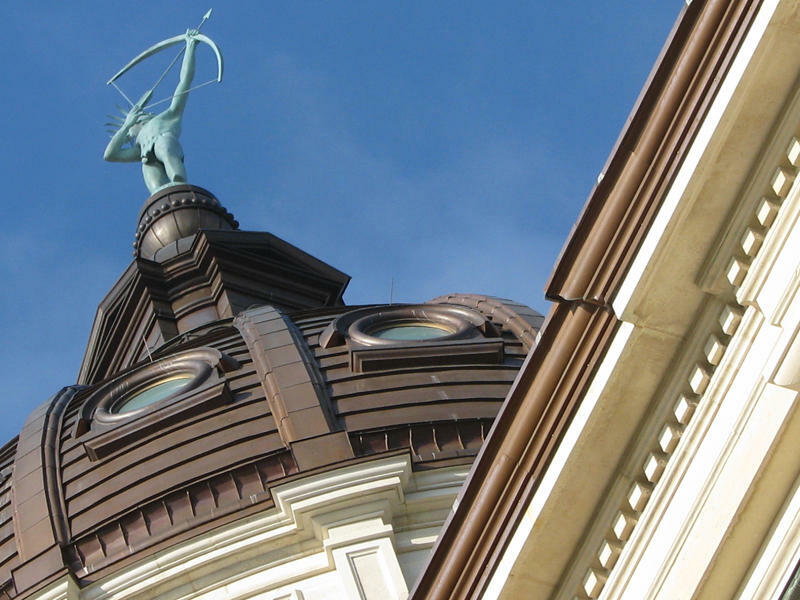 The Kansas House approved a bill Thursday that would undo many of the state’s 2012 tax cuts to help balance the budget. The 76-48 vote sends the plan to the Senate for consideration. While the bill had significantly more than the 63 votes needed to pass, it had received 83 votes during a preliminary test Wednesday. Those numbers are significant because 84 votes are needed to override a possible veto from Gov. Sam Brownback. 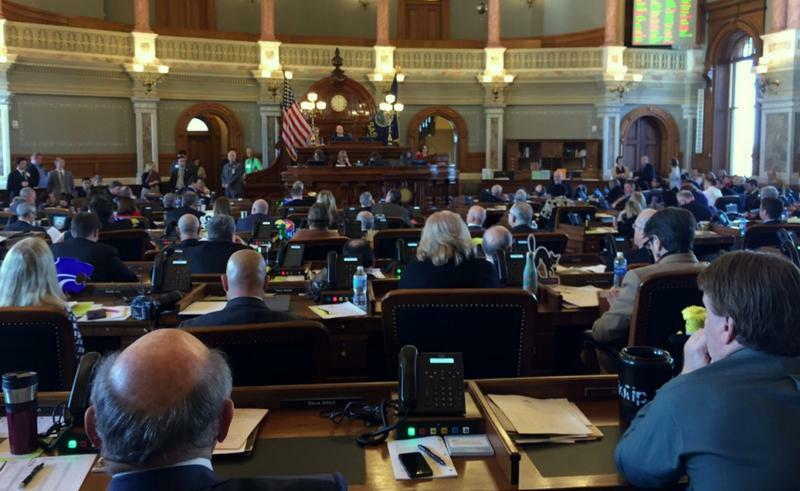 The Kansas Senate is setting itself up for a wide-ranging floor debate this week on tax plans to end a series of annual budget deficits by raising more revenue. Senate Vice President Jeff Longbine said the inability to privately rally 21 votes for a plan means it’s time to get ideas out in the open and see what rises to the top. 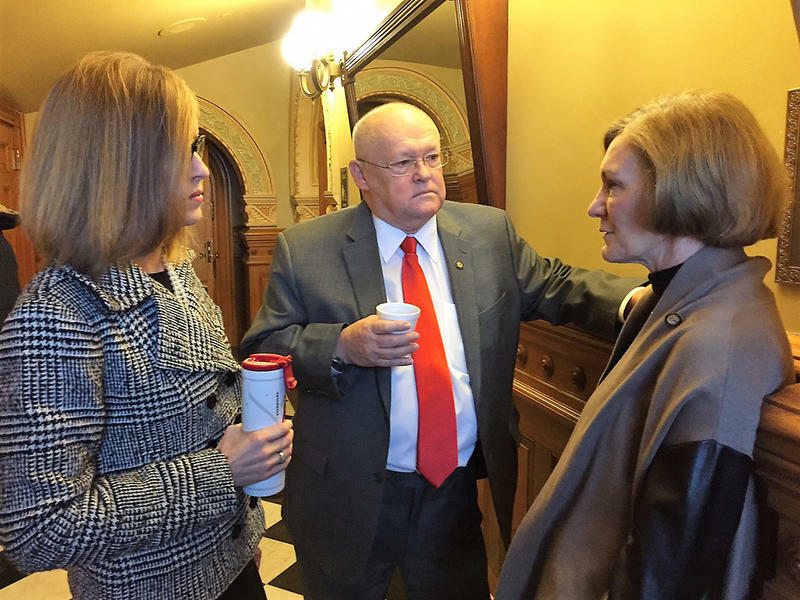 When people started to file into the Kansas Senate chamber on Thursday morning, it was clear the legislation that leadership was pushing was dead. New, moderate Republican legislators elected in November seemed to take a firm stand: The budget bills on the calendar for debate didn’t raise taxes enough and cut too much from public education.